$200 1ST PRIZE/$100 2ND PRIZE/"Crowd Favorite" gets a FREE t-shirt. 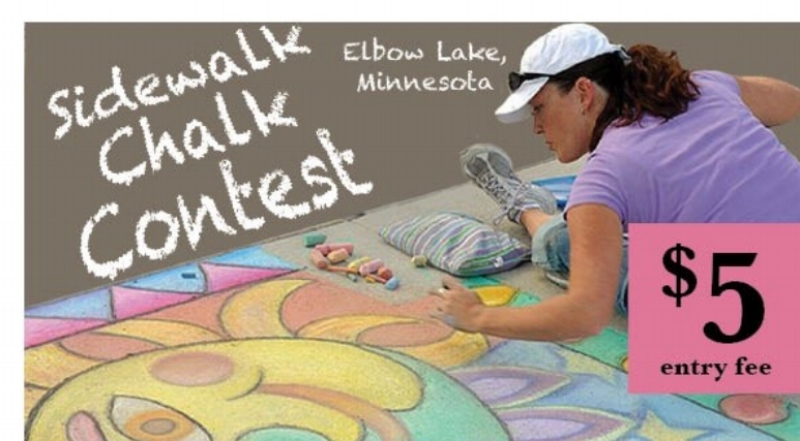 Each contestant gets a 5' x 4'5 space on the west side of Central Ave. in downtown Elbow Lake. Artist may only use chalk - no paint allowed. Chalk will be provided, or you may bring your own.